As a builder or mechanic the lines can sometimes be a little blurred on what you can and can’t claim tax relief for when it comes to the uniform tax allowance, but our uniform tax guide is here to make it clearer. If you work under the Construction Industry Scheme (CIS) and don’t have a uniform that you need to wear on the construction site – for example, you wear your own jeans and t-shirt – then unfortunately you can’t claim a tax rebate on this. You can however claim expenses on compulsory protective wear (for example high viz jackets or steel-cap boots). If you work for a construction firm as a PAYE builder and have a uniform that you must wear when working – for example, a shirt with a logo – that you also wash yourself, you will be able to reclaim tax on this. The construction firm that you’re working for should provide you with any compulsory protective equipment, however if you do have to pay for this yourself, you will also be able to claim tax back. Read our builders expenses guide to discover what else you can claim as an expense as a builder. How much is the standard tax rebate for uniformed builders? How far back can I claim uniform tax allowance? You can claim a tax rebate for up to four years, so if you’re a basic-rate tax paying joiner you could receive a tax rebate of up to £112. Much like for builders, if you’re a mechanic who wears their own clothes to the garage, you won’t be able to reclaim tax on this. However, if you wear a shirt with the garage’s logo on, overalls or other protective equipment that you’ve had to buy or wash yourself, you will be able to claim tax back for this. 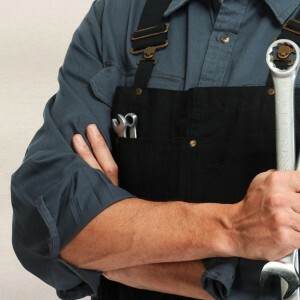 How much is the standard tax rebate for uniformed mechanics? For mechanics working in a garage repair shop, there is a flat-rate uniform expense allowance of £120 per tax year. This means that as a basic rate tax payer (20%) you could claim back £24 or as a higher rate tax payer (40%) you could claim back £48 per year. The team at Brian Alfred are experts at ensuring you get the most out of your tax rebate as a mechanic or builder, including making sure you get the correct amount back for having to wear or launder a uniform. For more information, get in touch with us on 0800 464 0355, request a call back or download your tax pack today.